Trying to write about writing is always hard, because so much of the process is not only ineffable, but highly individual. For instance, I do a huge amount of writing on my back. This is not actually recommended for everyone — it takes years of training to stay awake long enough to have good ideas before drifting off into a well-deserved nap. Not to mention starting out your thinking process far enough from the outer edge of the mattress that you don’t fall off when snoring…oops…when thinking particularly hard. More seriously, though, as I’ve told you before, I do like to do most of my thinking before I actually sit down at the keyboard (and that thinking is often done horizontally) because it gives me a chance to run a zillion thought-experiments and find out ahead of time what works and what definitely doesn’t work. That means when I’m actually writing the scene, I’m not worried too much about what, in theater, we’d call the “blocking” — the physical details of moving actors around the stage — and can concentrate on things like the atmosphere and the interaction of characters. This happens on a larger scale, too, of course, because like most who write at this ridiculous length, I have many timelines and plotlines intersecting. Something that might work chronologically — that is, be more or less in line with the timeframe of the scenes around it — still might not work out dramatically. You have to balance the effect on the reader of things learned, things experienced, and the ambiance created. For instance, no matter how well linked they are in terms of one following another in a time sequence, you don’t usually want to have three or four high-energy scenes in a row. Similarly, if the scenes dovetail beautifully, but the chronology is really confusing, you’ve flashed back thirty years in the middle of a bunch of very of-the-present-moment scenes, then you’ll jerk the reader back out of Ye Olde Disbelief Suspension. As a writer, you don’t have to be WRONG or do something obviously stupid to destroy that famed suspension. You can commit this faux pas simply by forcing the reader to do too much considering and reconciling when they should be pulled forward by what’s happening on the page. Thought is never the enemy of a good read. Too much thought for the wrong reasons definitely is. In situations like those I’m working with at the moment, I need to invent little ways to relieve the tension every now and then, or else the reader will simply get over-buzzed and the reactions you want — empathy, curiosity, fear for the protagonists, fear of the antagonists — will begin to dull. In fact it’s very similar to what’s called “compassion fatigue”: the first time we are told about something horrible, we want to do something about it right this moment. The second time, an hour later, we are a little less empathetic, a little more detached, and the returns continue to diminish with repetition, at least over a short turn. Same is true with a story. If I tell you, “Oh my God so and so is in terrible danger!” you will be involved. If I say “So and so is in terrible danger again only minutes later…!” — well, you get it. So, at the climax of a story, even if it’s just a volume of a longer story, the writer needs to vary things. You need to think like a reader (lucky thing most writers are readers, huh?). The writer needs to slip in a little bit of humor or a moment of beauty or interesting reflection that will give the reader a chance to catch her or his breath. Because that’s another important detail. If readers don’t breathe, you have dead readers. Look, I’m a pro. I’m telling you important stuff here. DON’T KILL YOUR READERS — that’s always been one of the most important rules. And I offer this valuable lesson to you, my friends, absolutely free. 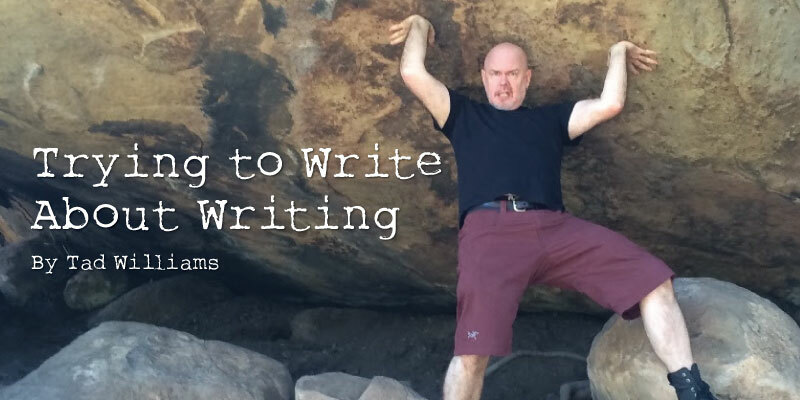 TAD WILLIAMS is a California-based fantasy superstar. His genre-creating (and genre-busting) books have sold tens of millions worldwide. His considerable output of epic fantasy and epic science-fiction series, fantastical stories of all kinds, urban fantasy novels, comics, scripts, etc., have strongly influenced a generation of writers. Tad always has several secret projects on the go. Tad and his family live in the Santa Cruz mountains in a suitably strange and beautiful house. 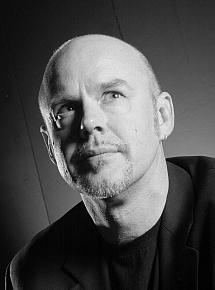 Visit his website https://www.tadwilliams.com. 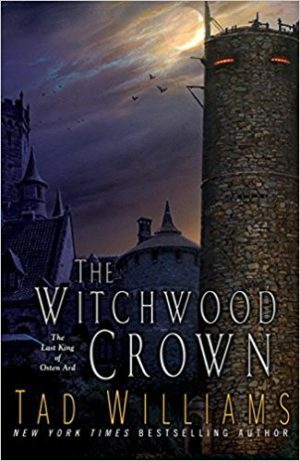 Tad Williams’ new novel is The Witchwood Crown. Find it here. Feature photo by Deborah Beale.